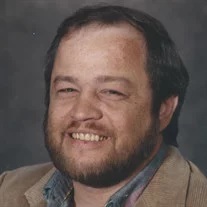 William “Bill” Kenneth Medford, 68, of LaFayette, passed away on Tuesday, January 15, 2018. He was born to the late Ernest Edward and Agnes Hodge Medford in Lexington, NC, was a lifelong resident of North Georgia and was a member of St. Gerard Majella Catholic Church, Ft. Oglethorpe. Bill served his community as an LPN for more than 40 years before retiring in 2013. Bill was a loving father, grandfather, brother and friend, who will be greatly missed. He was also preceded in death by his sister, Rita Medford. Bill is survived by his daughters, Shea Moreland and Jennifer Medford; siblings, Robert “Bobby” Medford and Therese Basham; grandchildren, Riley, Nicholas and Reid; and several nieces and nephews. The funeral service will be held at 1 p.m. on Friday, Jan. 18 in the funeral home chapel, with Father Mike Creson officiating. Interment will follow in Chickamauga City Cemetery. The family will receive friends from 2-8 p.m. on Wednesday, all day on Thursday and prior to the service on Friday. Arrangements by Wilson Funeral Home-J. Avery Bryan Chapel, Chickamauga.